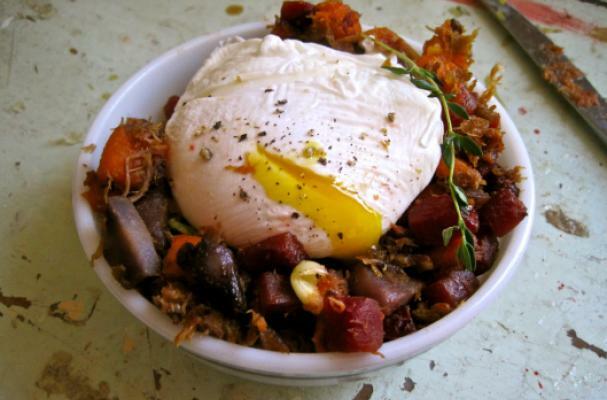 Potato beet hash with poached eggs from Yummy Books is a hearty breakfast. Cubes of fingerling potatoes, sweet potatoes, and ruby red beets are roasted until tender with onion and thyme. A smoky ham hock is hidden between the root vegetables to give them an unmistakably meaty flavor. Before serving a delicate poached egg is served on top. This dish is a definite winner. For full recipe instructions, click here.